"Good people drink good beer." We all like to eat, drink and be merry. These are our food & drink choices and we're sticking to them. 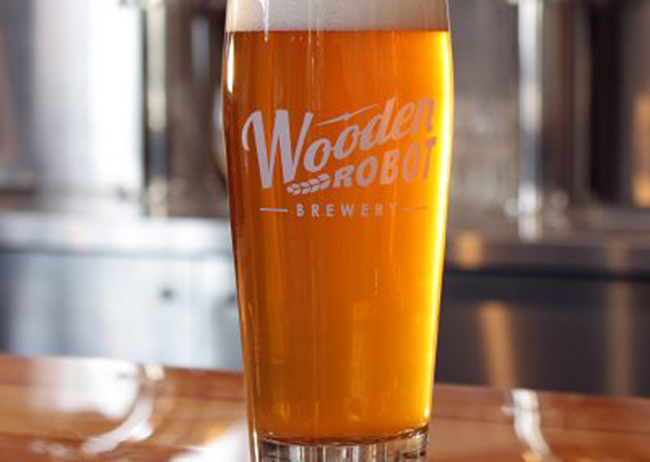 This female-owned brewery also features a female brewmaster, which we think is pretty cool in an industry saturated with male-owned and male-run operations. But one of our favorite things about Bold Missy Brewery in NoDa is the beer labels. 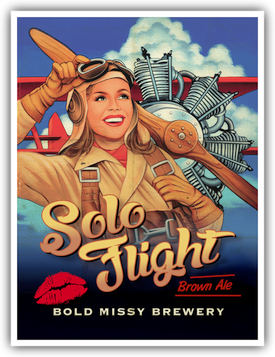 Each of Bold Missy's brews is named after a prominent woman in history or a bold, contemporary female figure. The core lineup brews are inspired by Amelia Earhart, Diana Nyad, Sally Ride, Annie Oakley and Alison Levine, and are represented in a mid-century-paperback novel style of art that's reminiscent of feminist icon Rosie the Riveter. Grab a beer at Bold Missy and celebrate women. Mecklenburg County's food insecurity rate is 16.4 percent, according to a report recently released by an independent consulting firm hired by the county. That percentage, which is higher than the national average of 13.4 percent, means that 173,000 Mecklenburg residents are food-insecure. 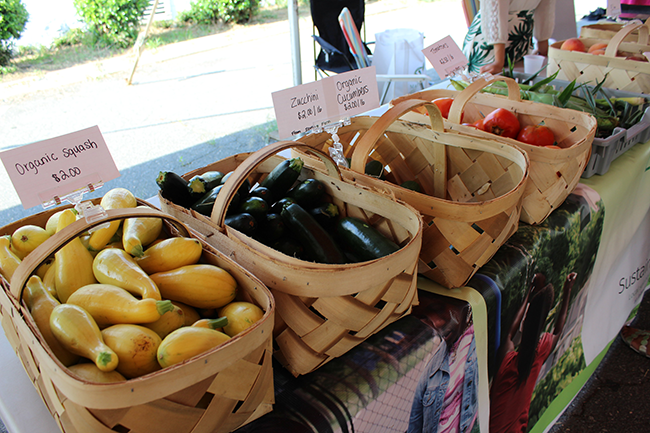 Opened in June 2016 as a partnership among the Mecklenburg County Health Department, Johnson C. Smith University and the Historic West End Partners, the Rosa Parks Farmers Market aims to bring that number down in the Beatties Ford corridor. The market works in conjunction with JCSU's Sustainability Village, a program that was launched in 2013 to address food access issues in the city's northwest corridor. The program makes use of raised beds, aquaponics and hydroponic systems housed right on campus to help educate students and provide community members with accessible, healthy food. In August, Sustainability Village broke ground on two new hydroponics facilities and an aquaponics facility. The expansion, made possible by a $325,000 grant from Blue Cross and Blue Shield of North Carolina, will allow the program to increase its production by 400 percent. It's the most important meal of the day, ya'll. When you're stewing in your own hangover and you just need the greasy food to help absorb the leftover alcohol in your stomach and make yourself feel better, Stacks Kitchen is here for you. Southern Sunrise isn't just staying up 'til 7 a.m. to catch the first sun rays of the day, it's country fried chicken tenders topped with in-house sausage gravy and eggs. And the Healthy Start is there for you when you need something a little more health-conscious like on a Tuesday morning. Grilled chicken breast with egg whites and sliced tomatoes grace the breakfast platters for guests looking for the best breakfast in the Queen City. If you want a brunch crafted and sourced local, then Suffolk Punch will punch your tastebuds with delicious food. Suffolk Punch has the brunch classics like eggs with bacon and grits or toast, but you can venture out to a different culinary world and try out chiliaquiles made with guajillo sauce, queso fresco, pulled chicken, peppers, fried eggs, onion and salsa verde. It's worth getting up half-hungover on a weekend day or dressing up for a brunch with a date or family. Upstairs, there's a "Fermentation Lab," where the staff and culinary experts ask their own cuisine-related questions and answer them at the intersection of art and science. This is where they tweak old recipes and come up with something new to serve on the ever-evolving menu. Earl's Grocery and Urban Provisions is nestled in the Elizabeth neighborhood and opened in 2013 by Bonnie Warford and her sister, Tricia Maddrey. Since then, Earl's Grocery has garnered the attention and appreciation of the area's residents. Don't let the swanky location of the lunchtime grocer fool you, the prices are good for the quality of food available, such as the Banh Mi sandwich, Pick Up The Tempeh sandwich and for the upcoming cool autumn days, the Chalkboard Chicken Noodle Bowl. If you want a quick takeaway and something healthy to tide you over 'til dinner, try one of the juices ready for you to grab and be on your merry way. Mean Green, Morning Gazpacho and Seeing Red will help detox from the night before and replenish the nutrients missing from your diet. Pinky's is known for featuring a few damn good burgers (try the White Trash burger), and they raise eyebrows with a few options, too (try Ding Dong style on any burger to add peanut butter, honey-cilantro slaw and hot sriracha), but this ain't about the burgers. 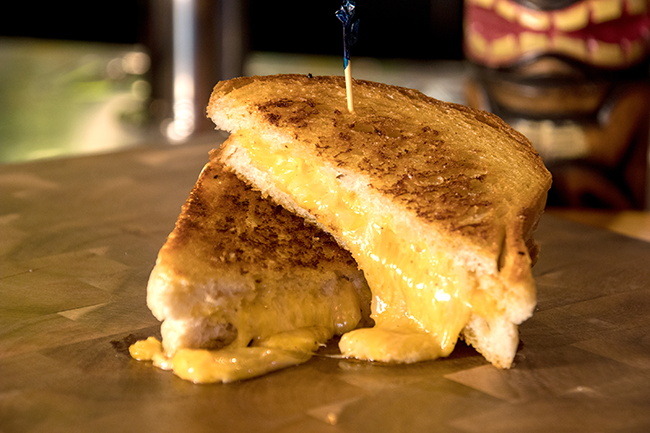 As far as sandwiches go, you can't go wrong with Da Pimp, a straightforward Southern grilled cheese featuring homemade sharp pimento cheese on Texas toast. 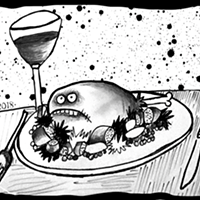 It's a great vegetarian option, but carnivores can take it one more step by adding bacon, which is our recommendation. Just looking for a morning pick-me-up and a tasty treat is difficult. Especially if you're gluten-free, vegan or just trying to watch what you eat. Sunflour is here to save your mornings (and afternoons if you need a sandwich). With four locations throughout Charlotte, it won't be hard to stop in and grab a bakery pop tart or Morning Glory muffin packed with carrots, apple, pineapple, coconut raisins and walnuts. Even better, they offer a wide selection of vegan and gluten-free options, such as chocolate almond cakes and cupcakes and CL staff favorites, key lime pie. Yes, please! Closing the food access gap is an overwhelming mission, but Alisha Pruett has taken it upon herself to make a serious dent in the issue. About five years ago, working as a social worker helping homeless vets in Charlotte find housing, Pruett saw firsthand the issues with accessibility to fresh and healthy food. 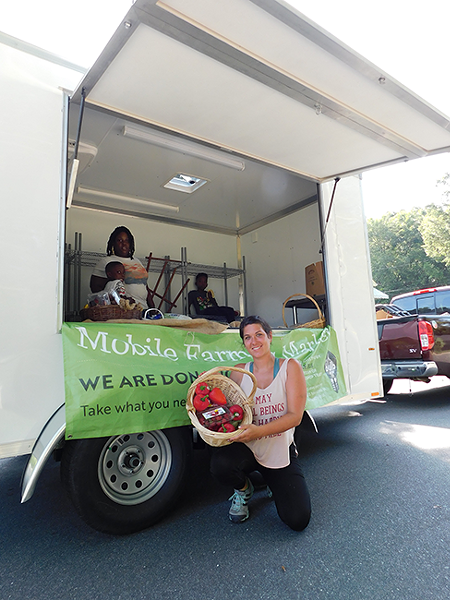 She later launched The Bulb, through which she now hands out an average of 800 pounds of free fresh food per day to 30 underserved communities in and around Charlotte. Pruett partners with local farmers, local organizations like Friendship Gardens, farmers markets and corporations like Trader Joe's to provide residents in food-insecure neighborhoods with healthy food. Since launching in October 2016, The Bulb has provided nearly 10,000 pounds of free, fresh food to the communities that need it the most. In July, a grant from the North End Smart District allowed Pruett to add eight neighborhoods to her serving area and hire Trenisha Birtha as an outreach coordinator as well as another employee. We're hoping to see plenty more growth and light from The Bulb in the coming year. As a group of patrons leaves the Blind Pig at 2 a.m. and heads down North Davidson, a few of them note the mouth-watering aroma in the air. "That smells so good!" one girl says. "You want a hot dog?" Carlos Diaz asked. "Let me hook you up." 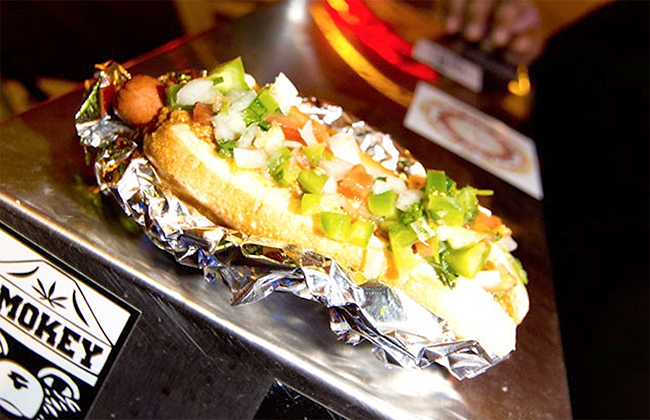 Diaz stands in NoDa most nights with his hot dog cart, selling hot dogs to inebriated passers-by and sober fans of his dogs. Topped with Latin relish and homemade chili, this late-night snack is absolutely to die — or drink — for. He was born in Honduras and came to the U.S. when he was 5 years old, growing up preparing dinner with his sister, which led him to his culinary future in Charlotte. If you find yourself in need of a delicious snack at 2 a.m. in NoDa, look for Diaz, he'll hook you up. It was cute while it lasted. In January, Charlotte entrepreneur Gavin Eales rolled out the American launch of #CoffeeInACone, which is exactly what it sounds like. Importing the idea of South African barista Dayne Levinrad, Eales wanted to bring the idea of pouring coffee into an ice cream cone sealed with chocolate to the United States, and he started at Sunflour Baking Company locations around the Queen City. 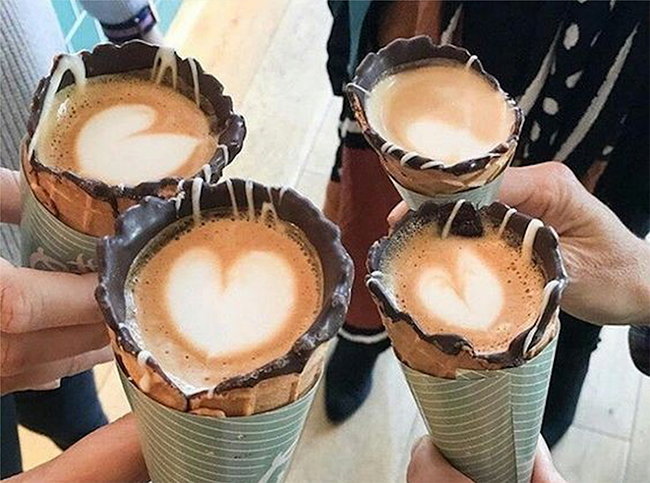 The cone held hot coffee for about 10 minutes before the chocolate seal was compromised, which made for an anxiety-ridden sip, but a great Instagram photo. The product remained on shelves at Sunflour until about a week before this issue went to print. If you're behind on the times and want to try a #CoffeeInACone for yourself, they're still available at The People's Market in Dilworth. Forego your spice shopping at Harris Teeter or Publix. Savory Spice Shop at Atherton Mill in South End has the freshest spices, seasons and herbs you would ever need for any recipe in your cookbook. Although the establishment is a franchise, it garnered our attention here at Creative Loafing due to the relationships that the owners nurtured with local restaurants, bakeries and breweries. When CL caught up with Alison Leininger, assistant manager at Savory Spice, she spoke about the local business owners that frequent the store. "Papi Queso was just in here earlier today. Haberdish was in here today. Diana Sapp, who's opening Undercurrent Coffee on Commonwealth Avenue, recently contacted us because she's doing a coffee festival called Pour and she wanted to do some tie-ins," Leininger said. "She told us, 'When I think of local coffee, I think of Savory Spice because everybody uses your stuff.' We are very, very plugged in to this community." Cheese plate, sticky veal short ribs, lamb lollipops and much more round out the small plates menu at the very classy and swanky Soul Gastrolounge. Want something a little spicier? Pan con tomate with Spanish chorizo and a rioja reduction or sashimi tuna tacos with sriracha mayo can satisfy you and your dinner-eating pals' palates for the hotter side of appetizers. To quench your thirst for libations, Soul Gastrolounge in Plaza Midwood boasts a fancy cocktail program which includes mixes like Everte Statum, Justify and Branca Colada. Just remember to share. Soul Food Sessions' mission is to highlight and present people of color in the culinary arts, bringing in skilled chefs from around the city to showcase their excellence in preparing delectable plates for the city. The most recent ones, Oct. 6 "Soul Food Session" and June 19 "The Table is Set," both at Free Range Brewing, brought a pairing of non-profit organization and the city of Charlotte together. In one night of scholarship, culinary arts and lifting up the chefs Soul Food Sessions keeps the Queen City full of good food, charity, and community togetherness. If you missed them this year, no worries, we're sure they'll be around again. A little bit outside of Charlotte, you can incarcerate yourself while you incinerate inhibitions with expertly-crafted libations. 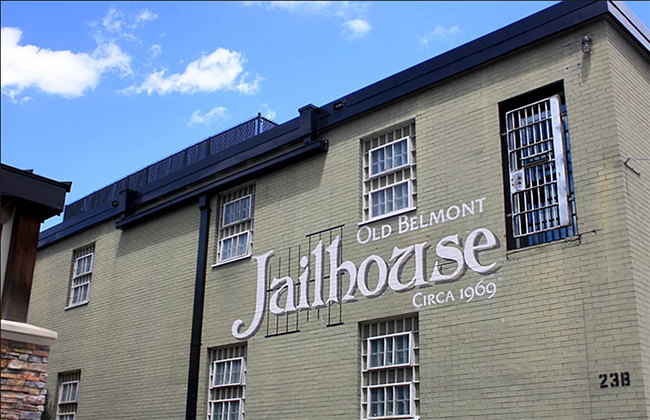 The Jailhouse Belmont is, you guessed it, a former jailhouse reinvented into a two-floor establishment for top-notch spirits and cigars. The speakeasy-inspired cigar section downstairs allows patrons and members to sit back with their sticks and whiskeys. If smoking isn't your thing, that's no reason not to stop by as the upstairs is for smoke-free imbibers of gorgeous liquors and rare beers. Lock yourself up and get cuffed to the bar — metaphorically, of course. Striving to transport guests to a place where comfort and familiarity are abound, Heirloom provides a unique farm-to-table experience that is hard to find in Charlotte, let alone in the Coulwood Park area. The staff preserves in-season ingredients as honorably as possible in order to bring bright and zesty dishes that, although are out of season, still hold the fresh flavor as if they were harvested right before being combined in the recipes. Chef and owner Clarke Barlowe calls Heirloom his dream, and opened the doors in February 2014. Since then, he's never faltered in bringing North Carolina-sourced ingredients and recipes to his menu and the table. 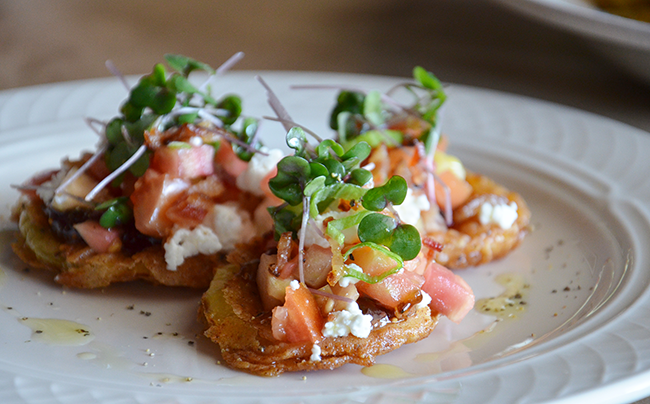 The appetizers themselves are enough to pull the fine-dining crowd to northwest Charlotte. Jarrett Bay Oysters and a cheese and charcuterie plate with selections from Orrman's Cheese Shop make the stomach growl with desire. We will concede that Heirloom is a little bit out the way, but it's worth the trip. Say "Hello" to the Sailor. Owned by the same duo who opened the city's favorite Kindred restaurant in Davidson, Katy and Joe Kindred ventured just a tad closer to us and opened Hello, Sailor in Cornelius. While reviews and critics noted that the eatery has yet to find its identity, trying to be a quick stop on the lake or a destination date at the same time, we think that's the appeal of Hello, Sailor. You can park your boat and grab a bite or put on your best dressed and take a date to this slightly-out-of-town location. The view overlooking the lake with the freshwater breeze and some Carolina oysters will make your weekend. Savannah, Georgia, is known for its fresh and delicious seafood, which is where Jamie Walker, the owner of Seafood Connection in Charlotte, is from. Pulling from his Georgian roots, he slings out the best seafood in the Queen City. From traditional crab legs, lobster and shrimp to the brunch specials of crab cakes over grits and lobster or shrimp waffle dishes, there's the flavor of the ocean in every bite on the menu. To pair with your fest of seafood fit for a king of the Queen City, grab some hush puppies or crawfish to round out a meal from Seafood Connection. No more excuses for going to Starbucks for the convenience of staying in the car and receiving your morning caffeine nectar through a window. Waterbean Coffee on North Tryon has the accommodations for your tight morning schedule and the delicious coffee brews you need to get through the day. Its fast and friendly drive-thru makes it easy to stop quickly and be on your merry way with a tall, hot and steaming dark drink of the morning. The favorite coffee of the CL staff is a large Americano with oat milk and a shot of raspberry flavoring, but they can brew up any concoction — or two — that you need to get through the morning and the work week. Does vegan food sound unappetizing? NoDa Bodega wants you to throw out that misconception and try a new perspective on how delicious vegan food can be. Every Thursday, the little eatery doles out a vegan-only menu to patrons in order to shed a new light on the endless options of delectable dishes that don't include animal products at all. It's not all tofu and leaves of kale. Owners Lisa and Brian Moore work tirelessly to create and develop vegan dishes entirely out of plants, while still enticing the tastebuds. Vegan tacos, BBQ bean burgers and garden gazpacho are all part of previous Vegan Nights held by NoDa Bodega, "tricking" patrons into devouring delicious plant-based meals without a second thought. Vegan or not, it's a Thursday night meal with a conscious. Baba ghanoush from La Shish Kabob; an Ethiopian coffee ceremony with teff and popcorn at Nile Grocery; candy and other snacks from Rohan Grocery, a Himalayan Bazaar; and pastries from the Syrian-owned Golden Bakery — all within two hours, all on the same east Charlotte block. That was the experience at one of Charlotte historian Tom Hanchett's Neighborhood Walks Munching Tours that CL tagged along on in April. The Munching Tours are a part of the Charlotte City Walks program, and Hanchett not only curates the mouth-watering locations, he introduces participants to the owners of each establishment, building community and helping mix the "salad bowl," as he calls Charlotte's diverse neighborhoods, rather than a melting pot. "I am not so comfortable with melting pot because it connotes the fact that you're supposed to give up all of your traditions and become something new," Hanchett said. "We are definitely becoming something new, but we are all keeping pieces of our traditions, and that's a tasty thing." Last year's Best Beer winner in our Reader's Picks has won our hearts here at the office, as well, and deserves the top nod this year. It's so damn local (made with Ethiopian coffee from Enderly Coffee Roasters) and it's so damn international (mixed with Madagascar vanilla beans), this blonde ale has a light, vanilla finish that works in any weather. Cheers. Who says you need alcohol to feel good? Sum Bucha Kombucha Tea is the happy juice you need to get all of your micronutrients, antioxidants and probiotics in one drink! Husband and wife team Alex and Sarah North crafted a drink that tastes so good you forget it's also a healthy drink. It's small batch fermented tea flavored with fresh, seasonal, produce from local farms. Choose from flavors like Strawberry Basil, Morning Glory, Flower Power, Pineapple, Lavender Lemonade, The Generator, Watermelon and The Enabler. Find these delicious healthy drinks in various locations around the city. 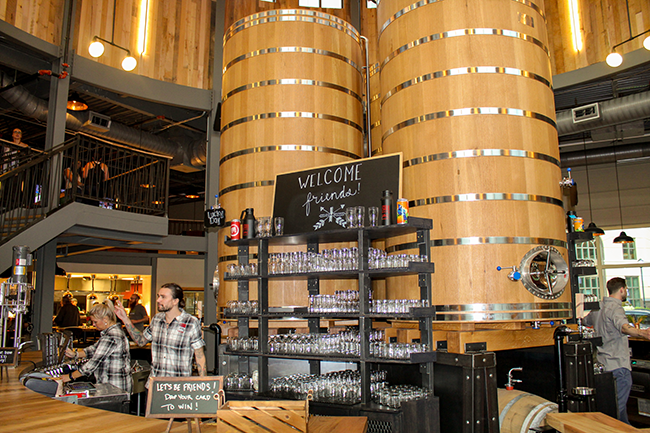 Divine Barrel barrelled its way into the bursting craft beer scene in Charlotte by specializing in wild and sour beers. "To brew is human, to ferment is divine," they say. When dealing with the wild yeast, sometimes you need a little luck from the divine universe to yield a satisfying result in a batch. With a mindset geared toward admiring the unusually lovely beauty of beer and wild ales, owners Ben Dolphens, Scott Davis and Gavin Toth look to nurture their brews into meeting their full potentials. On their taplist, ice cream-flavored berliner weisse Ice Cream Paint Job and saison farmhouse ale Take Me For Granate will pull you in the door at the very least. Drown yourself in the divine taste of preternatural beer in this barrel. This is a sad, posthumous nod to Tropical Goodies, as we only learned a week or so before publication that the Caribbean and soul food restaurant on North Tryon Street had suddenly disappeared, with Mr. C's Chicken taking its place. The restaurant served Charlotte residents for more than a decade, with a location on North Tryon and another on Beatties Ford Road, each boasting true Caribbean kitchen staff. They served everything from oxtails, jerk chicken and fried plantains to hot wings, collard greens and the some of the most effectively seasoned fried chicken you'll ever try. To quench your thirst, the restaurant also offered traditional Caribbean drinks, like rum cocktails and ginger beer. We're hoping this is a just a phase and we'll see TG back at it again very soon. 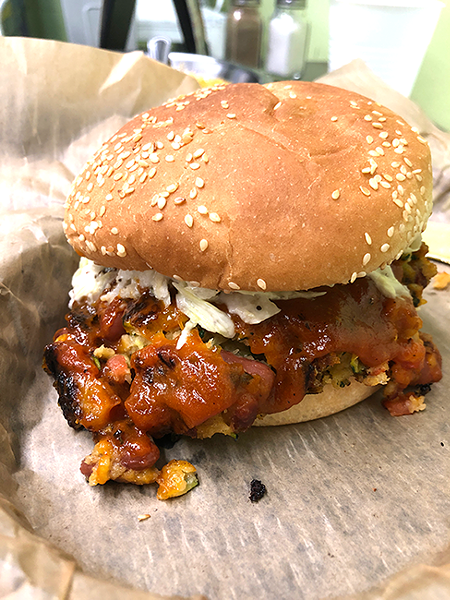 This truck came in just under the wire, as we only found them recently (look in last week's issue for a profile), but once we tasted this vegan Mexican cuisine fare, we knew it also had to be featured in this week's issue (the issue that counts). Before Lady Go-Go's owner Yvette Gomez's grandmother passed away nearly a decade ago, Gomez convinced her to entrust her with the recipes the two had grown up cooking and enjoying together. After becoming vegan in 2013, Gomez went to work perfecting the translations of each recipe into vegan substitutes with the same taste. It took about two years to get it right, with Gomez's husband Eric Garcia acting as taste tester and judge, but the patience paid off and now Gomez serves some of the best tacos — vegan or otherwise — in the whole city. Get your taters here, folks. The family-owned Ace of Spuds food truck rolled onto the streets of Charlotte in July, and folks haven't been looking at potatoes the same since. 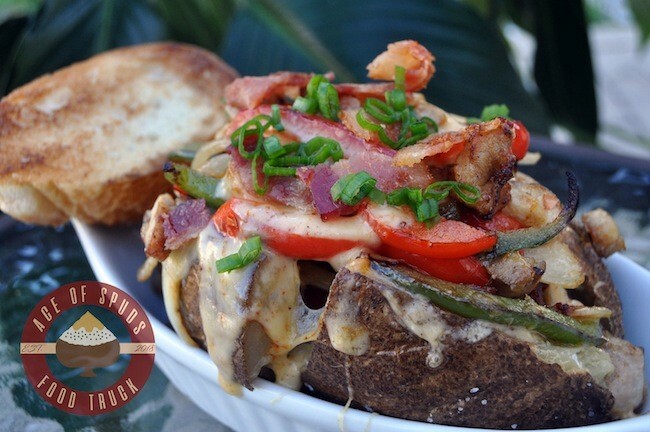 The truck serves up jacket potatoes including the chicken gouda potato with peppers and onions; the southwest potato skin stuffed with homefried-style potatoes with black beans, corn, cheese and avocado; and, our favorite, the cajun shrimp potato. Saloan Rochelle, who helped her parents launch the truck, said her dad was reluctant at first to get into the food truck industry, but we should all be thanking our lucky stars he came around. Charlotte was lacking in halal food and Khuram Bashir, owner of Halal Cart, was hungry for it. That's why he and his family started this Uptown staple food cart in 2016. Coming from New York City and before that, Pakistan, Bashir knows how to cook halal. The recipes are pulled from the family restaurant in Matthews, Mi Barrio Halal Latin Grill. "Halal," in Arabic, means "permissible," which means that the meat is butchered and prepared according to specific tenets of Islam. Many Muslims eat halal meat exclusively. Because of the lack of halal carts in Charlotte compared to New York City, it's much more business savvy for Bashir and his family to churn out the freshest halal ingredients and dishes available. It's authentic, it's good, and it's halal. The naw taproom at Legion Brewing in SouthPark. At the ground floor of Capitol Towers in SouthPark rests the second location of Legion Brewery and the first brewery in the expanding SouthPark neighborhood. The whole operation is about 12,000 square feet, occupying two floors and hosting an award-winning taplist and an upscale menu. 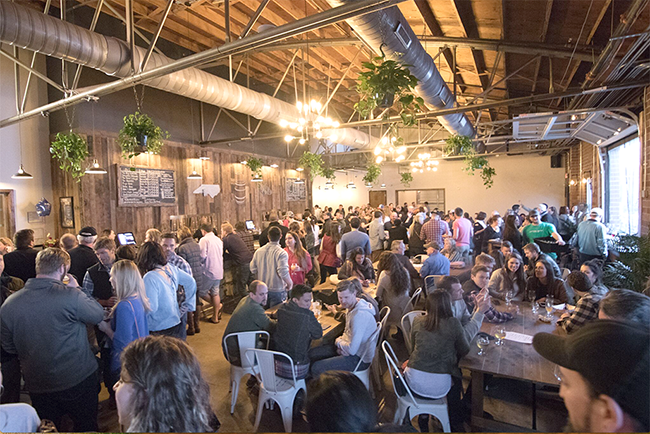 Instead of fighting traffic to get to South End or Dilworth, the residents of south Charlotte now have a local watering hole in which to congregate with family and friends over beers, wines and liquors, most of which are sourced locally and regionally. Bloody marys and mimosas by day, margaritas at night. The small, cramped joint in Myers Park closed its doors for eight weeks to complete renovations this year, and the result is space- and recipe-opening. The staff weren't sitting on their couches, twiddling their thumbs for two months as littleSpoon was getting a makeover, however. 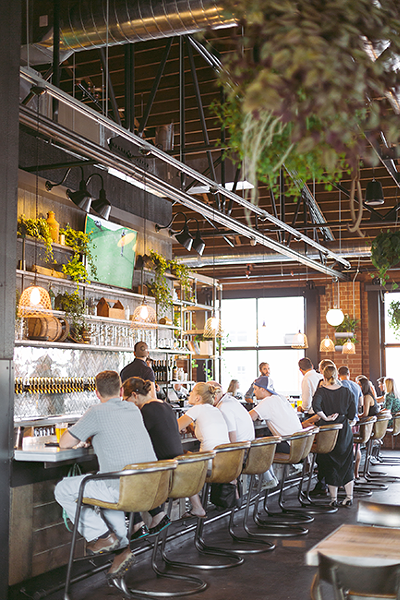 Owner Alesha Stegemeyer arranged for the kitchen staff to travel the country and soak up as much culinary knowledge as possible, leading to new dishes like Korean Brussels and new libations with fresh-squeezed everything. She also takes the staff to the local farms from which they source their ingredients. "It's important to see where it comes from to appreciate and value the hard work and the man-hours that make up each individual either head of lettuce or the hydroponically grown tomatoes," she said. With that being said, we'll gladly take a big spoon to eat at littleSpoon. What started out as serving "Southern soul food with a twist," through a window of a food truck in late 2017 soon turned into a bona fide restaurant on North Tryon Street. The transition proved to be successful, as Deborah Monroe opened Ruthie's On Tryon, named after her mother's restaurants which stood and operated in New York City. Monroe's daughter, Kia Spell, sat down with Creative Loafing this year and talked about the transition from food truck to restaurant and it was very clear that the decision was a good one. 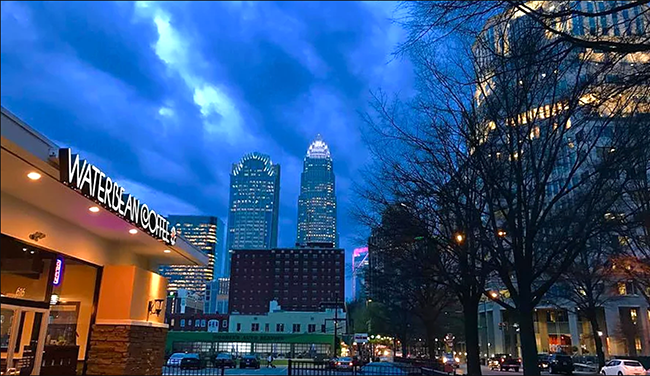 Although Charlotte residents are still discovering the establishment as a, well, established place, in addition to operating the food truck, it's only up from here for the family legacy eatery. Yeah, Southern food is in no way few and far between here in the Q.C., but the family-style comfort food and legacy behind Ruthie's on Tryon is. "Pleeeeeeeeeaaaase hurry and open back up! We are craving some phillys [sic] and y'all have the BEST!" one Google user wrote in the review section of House of Pizza's page. For 10 long months, House of Pizza remained closed as they worked to put a new face on. Samantha and Maria Kakavitsas were without the home they introduced to Charlotte when it opened in 1983. 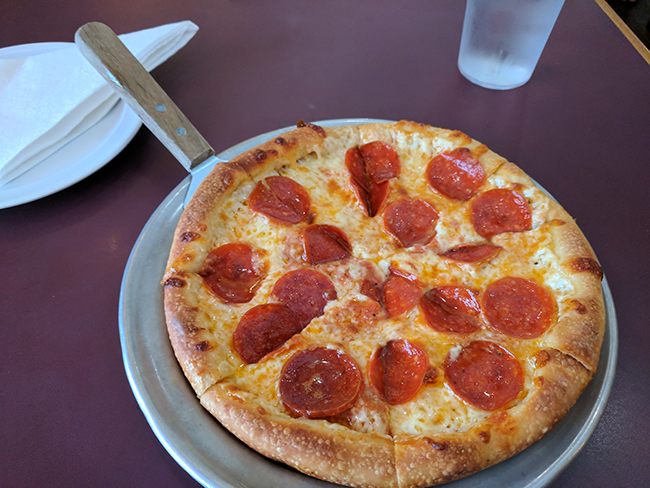 Now, with a fresh coat of paint and a new and updated interior, the pizzeria serving Italian staples and Philly cheesesteaks came back to the Charlotte food scene in May 2018. Maria called the reopening a blessing. "This is our livelihood," Samantha said. "We live off of this." With a beautiful and homey new interior and a smooth-sailing take out counter, House of Pizza can finally welcome Charlotteans back home. For good, this time. 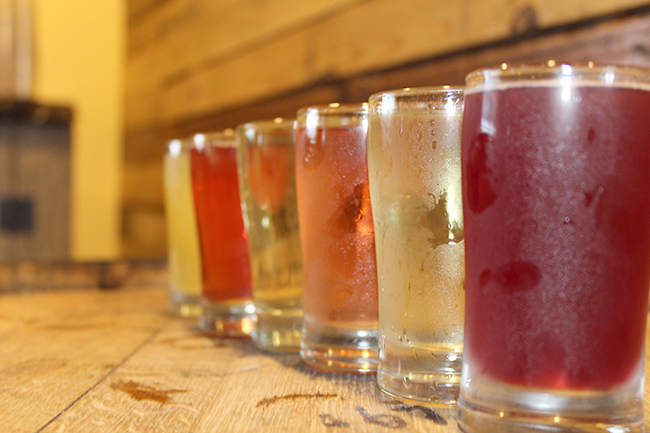 It's hard to choose between the only two cideries in the Queen City, but Red Clay ultimately wins in the end for its ode to Charlotte in naming ciders and its eclectic fusion of flavors. The South End and Queen City Common, semi-sweet and semi-dry respectively, are among the flagship ciders that grace Red Clay's production schedule and taplist year-round. But for those who would like to venture to a sweeter and more exciting side of cider, Red Clay offers up Holla Piña, a pineapple-jalapeño cider; Ciderita, a margarita-flavored cider with lime and salt flavors; and Tell It to the Melon, a cucumber and watermelon-infused cider. Don't overlook cideries in general just because Angry Orchard ruined your palate for the drier, truer side of cider, be sure to give Red Clay a try. Give Fran's Filling Station's menu a glance and you'll see that, while this Dilworth eatery doesn't serve out Southern food per se, the wide array of eclectic dishes are mouth-watering. It's making the CL staff hungry just looking at it. Yellowfin tuna, salmon and succotash, fried chicken with goat cheese and pepper jelly and meatballs grace the dinner menu of Fran's Filling Station. Only want some appies and drinks? No problem. Fried brussel sprouts, cuban sandwich bites and bacon-wrapped tater tots are served alongside a carefully-crafted cocktail and wine program coupled with local brews for your liking. Come together at Fran's and fill up.